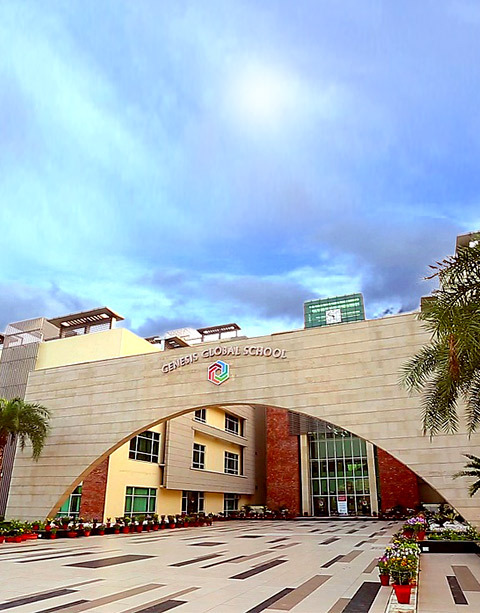 The vision of its Founders is to develop GGS into an autonomous, multicultural, multinational International School. A GGS education must be secular, relevant and continuously align with changes in the global economy, society & environment, while providing a pre-eminent intellectual and creative milieu to our community. GGS will produce young men and women of exceptional calibre who will always keep in mind the global context of matters. These future leaders will keep sustainability at the core of their endeavours. The world is connected and a GGS education will always prepare students for global citizenship of an increasingly interconnected world. The School’s curriculum will be purposefully aligned with globally accepted best practices which at its core will strive continuously for service to the whole human community. • Using Music, Speech, Dance & Drama as an integral inclusion in the Curriculum. • Learning and Teaching using the multiple intelligence format. • Service Learning and Outdoor Education. Our sense of belonging to Indian society and culture is the bedrock of our behaviour in all matters while reaffirming our global nature. It shall recognize and celebrate the rich diversity within and between countries and its peoples, and, at the same time affirm the unity of humankind. • The diversity of humankind while not losing their identity. • Understand acquired knowledge which promotes the similarity in culture and people, while continuously working for their community and country. A day & residential school, secular in tradition and identity, where people of all nationalities and cultures mutually learn, live and study together. Active learning is important for us because at our focus is the Learner. This approach will be the main driver for learning at every level, age and group. With the ever-increasing advancements in learning & teaching technology, the Institution will strive to induct technologies & processes, in keeping with the needs of the student now and in the future.